The Roaring Twenties was an astounding period with distinctive expressions in art (Art Deco), music (jazz) and fashion. That's the decade when hemlines rose as waistlines dipped. Daring young women or "flappers" tossed out corsets, went for the boyish style and favored bobbed hairstyles and close fitting hats. 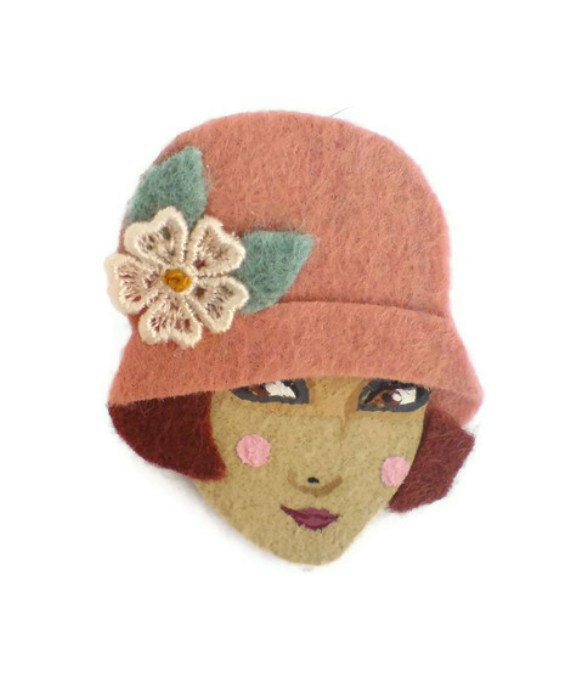 Celebrating the flapper look is Israeli artisan, Yali Paz whose Etsy shop is filled with delightful felt and fabric brooches. 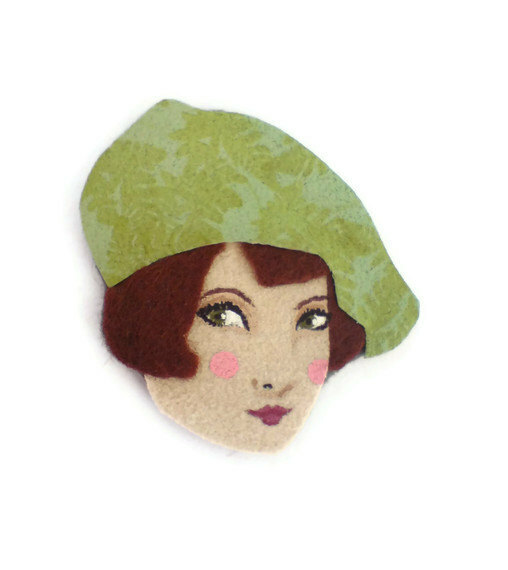 These capture the style and look of flappers right down to coy glances! The twenties was also the time when F. Scott Fitzgerald wrote his great books. 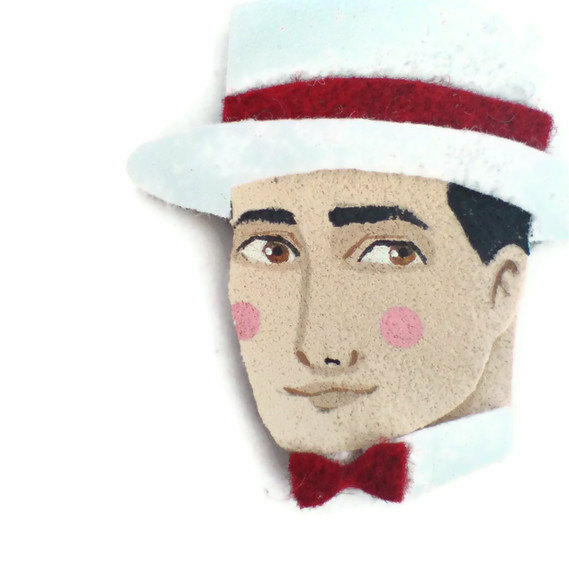 So Yali has just the right Jazz age man brooch! She explains her design process : "I love "my girls", designing their cute cloche hats, choosing the right hair color to match and looking for the most complimenting miniature embellishments to put in their hair. 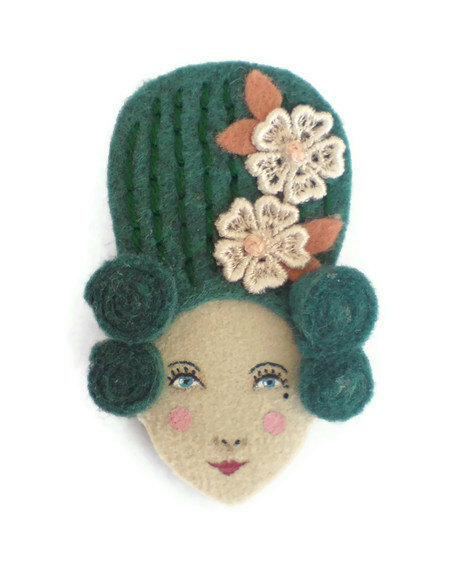 The finish stage in my work is my favorite - to put a face on every brooch giving it an individual character, putting life into matter and making the little faces come alive." 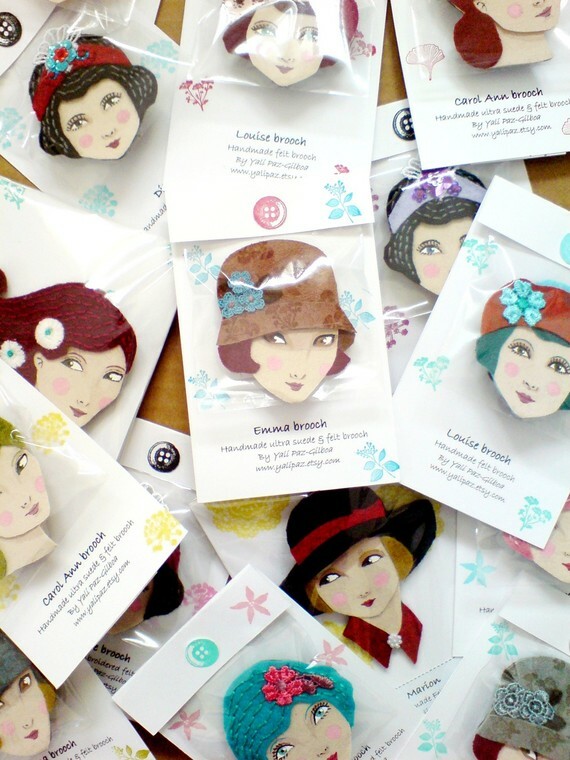 They are adorable brooches. Brings back memories of the old TV "The Untouchables" Elliot Ness and The Roaring Twenties. True the series was in black in white but then so was our TV. I think they are painted on although Yali clearly sews for some of the hair details. Well, some of the old black and white shows were gems! PS Some of the details are small patches. She uses a variety of techniques for best effect. 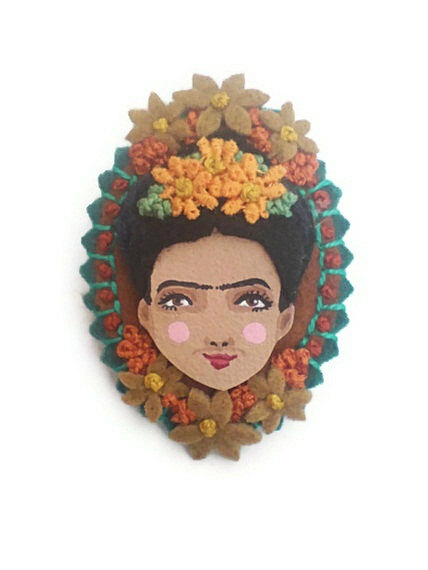 These brooches are fabulous. Thanks for sharing! Not that I know of. You could try asking the artisan to see if there might be a possibility of a paid tutorial.